When we first wrote about Scoop.it, Martin Bryant called it “Tumblr without the blogging”. The idea is simple, but the implications could very well be huge. Scoop.it is a curation service that allows you to find the best of things that interest you and gather them all into one place. While that hasn’t changed, the team has realized that you probably want to do more than just curate your own list of content. While it’s great to be the resource, and not always the source, many of us wanted to integrate our Scoop.it topics into existing pages such as WordPress, Tumblr and LinkedIn. With this release, curation is not a stand-alone act any more. Users will not only have more sharing options than the current Twitter and Facebook ones, but they will also be able to use their curation on the destination platform of their choice: on top of building their audience on their Scoop.it page as they do now, they’ll be able to bring their Scoop.it curated content to their existing blogs (Tumblr, WordPress) or to their Facebook pages. So instead of having people be forced to head to your Scoop.it page, you can now integrate that content across many more places on the Internet. What’s more? 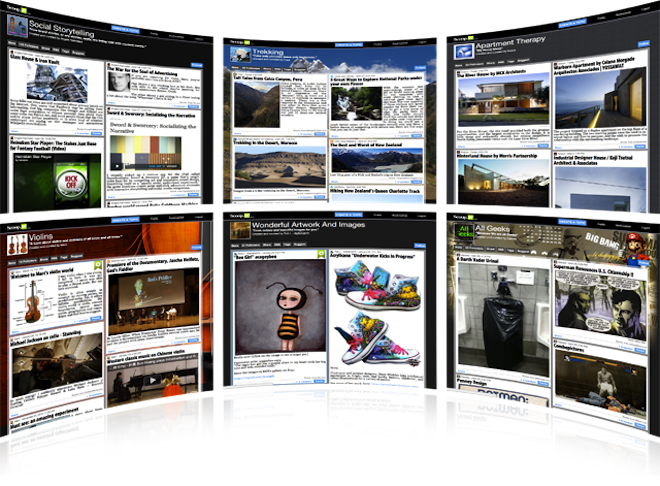 You now have Scoop.it widgets too, that you can display on your personal sites. So there you have it. Your interests, shared to more places and done so in the simplest of ways. Sounds like something you’d like to check out? You can do so by clicking this link to get your invitation to the private beta. Have thoughts about Scoop.it? Let us know in the comments.